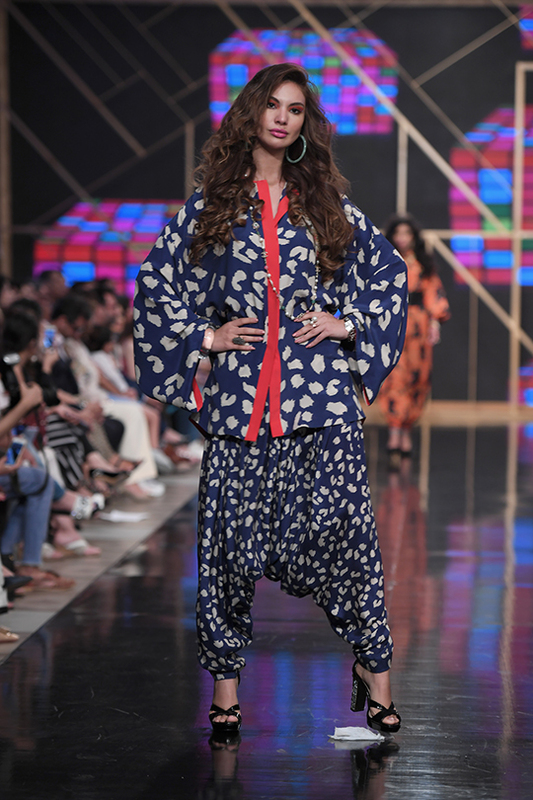 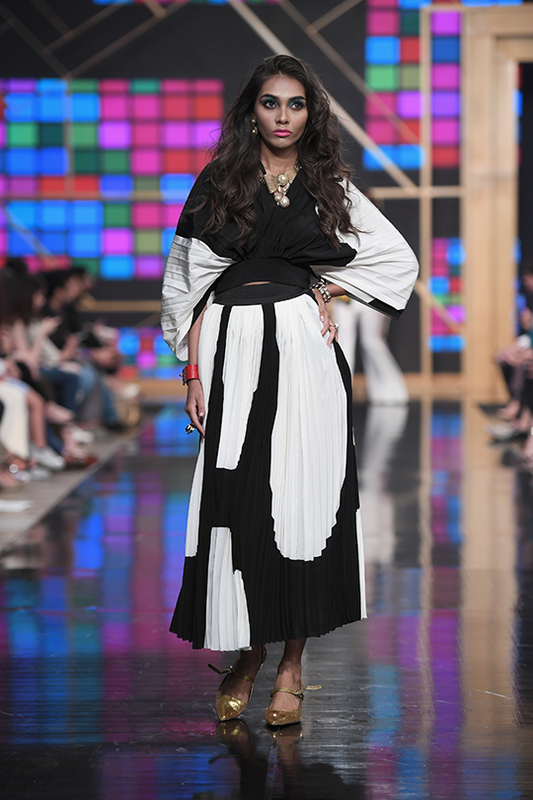 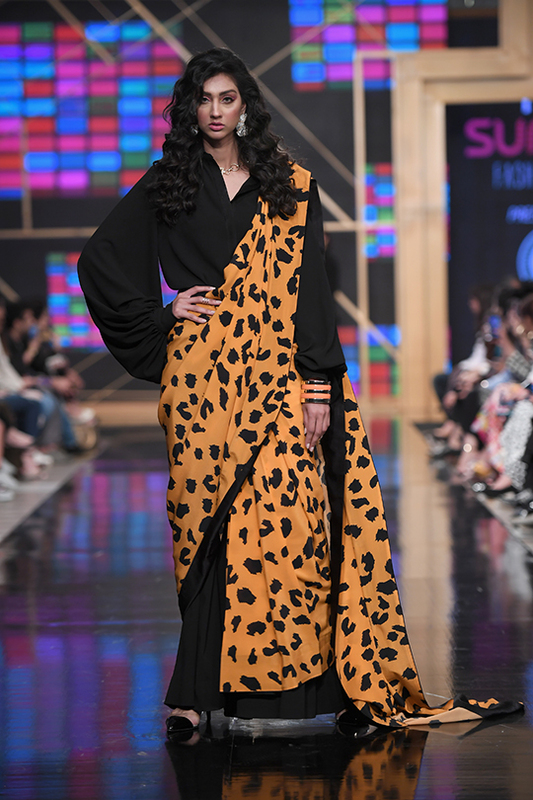 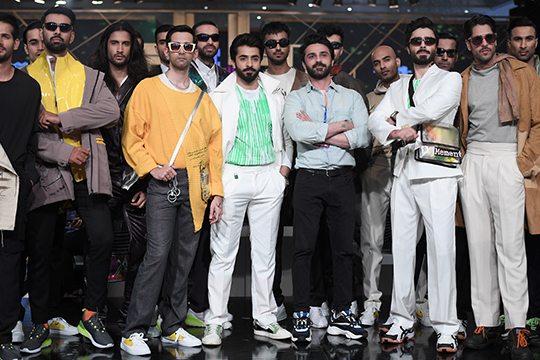 The third and final day of PFDC was graced with all your favorite brands and designers. 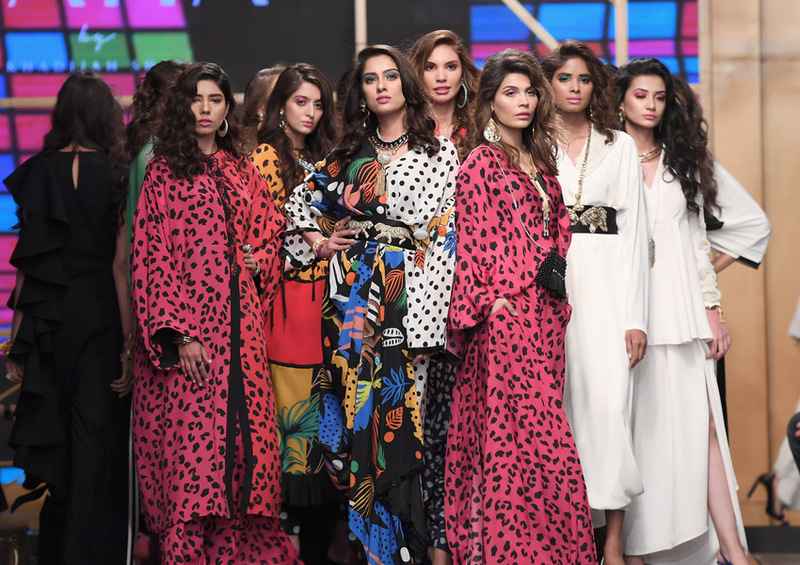 From Nomi Ansari to Khas. 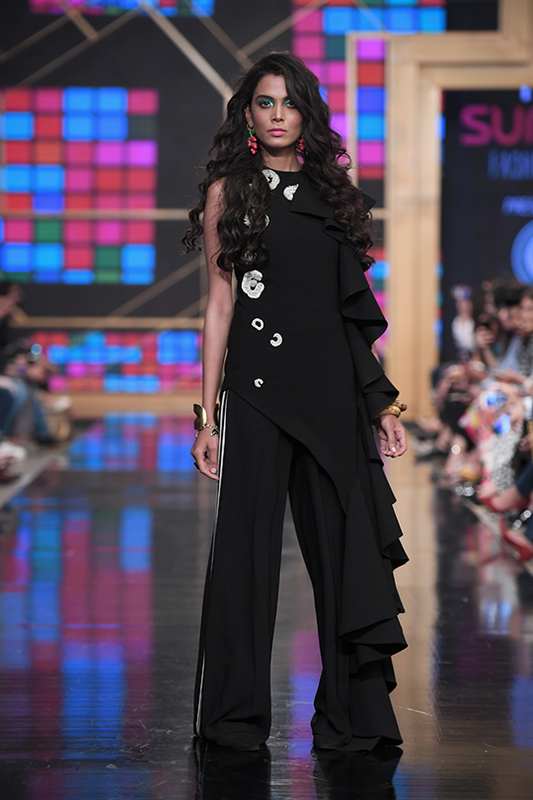 From Khadijah Shah to So Kamal. 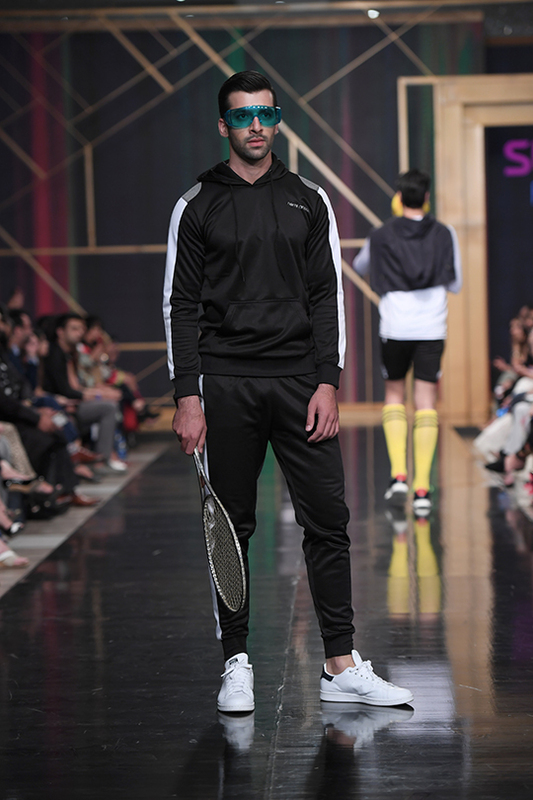 Each name served their A game, and kept their audience captivated throughout! 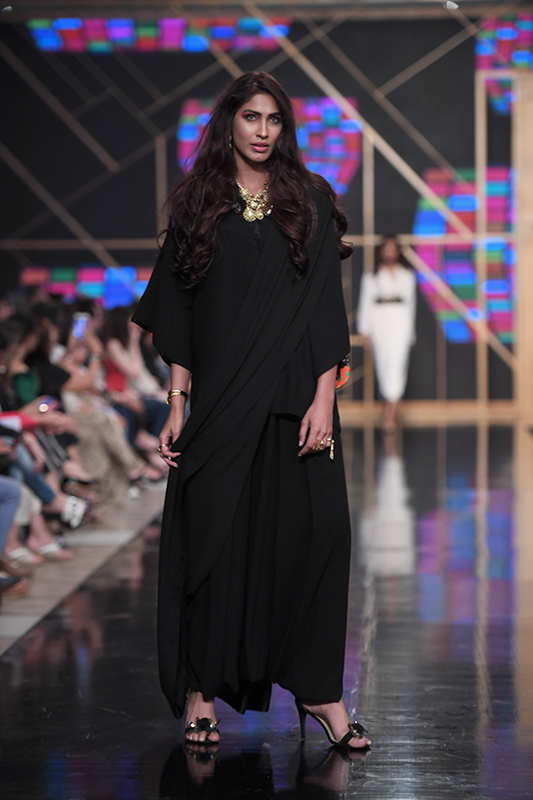 Khas kicked the event off with their luxurious yet comfortable clothes followed by Sanoor who oozed oriental vibes. 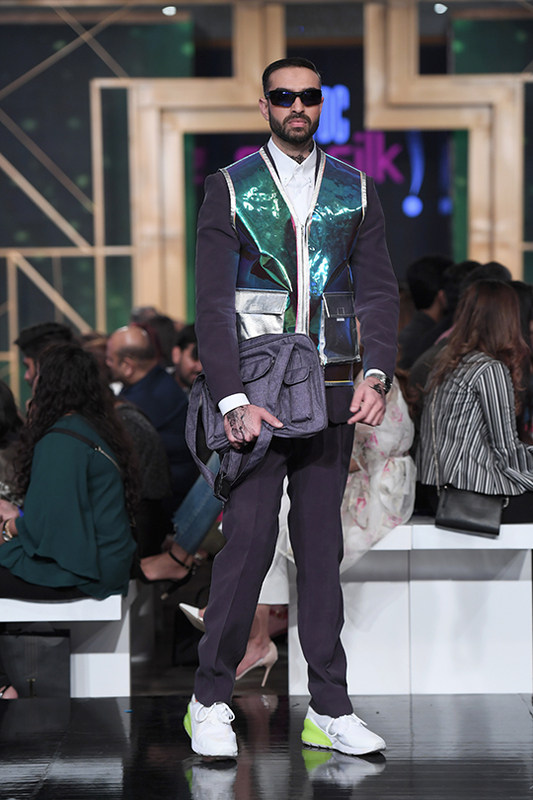 Almirah presented some dapper pieces for the man of day. 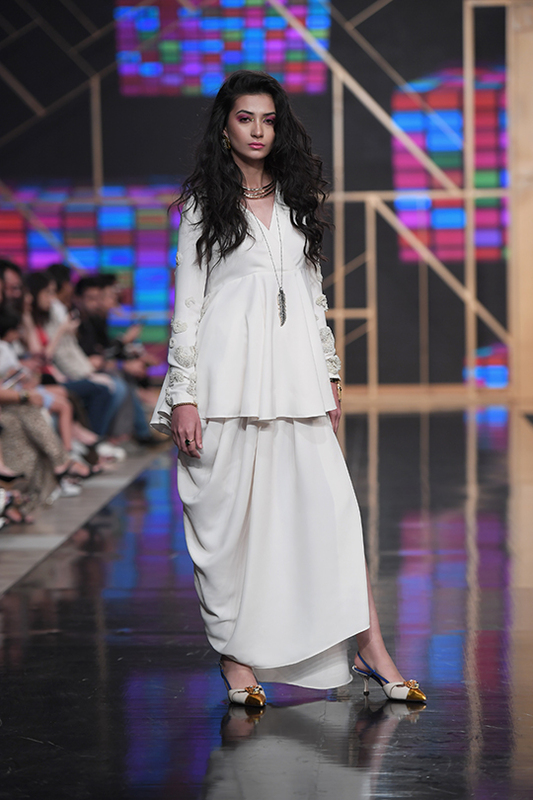 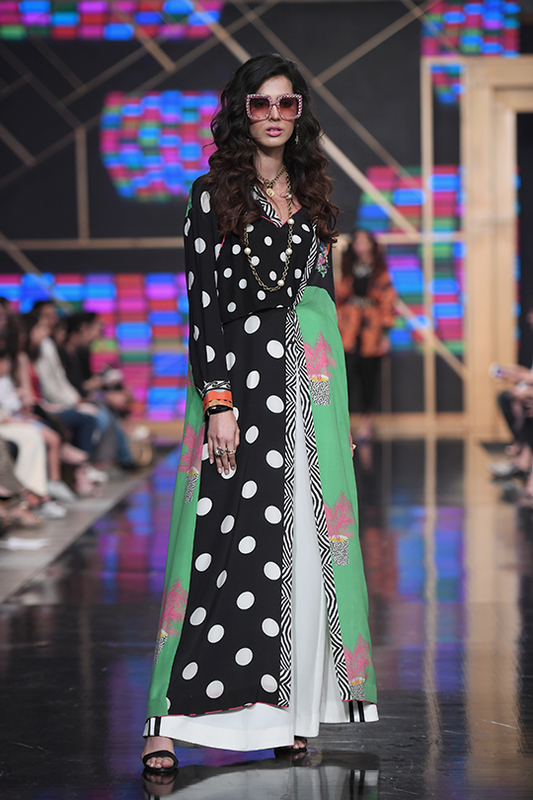 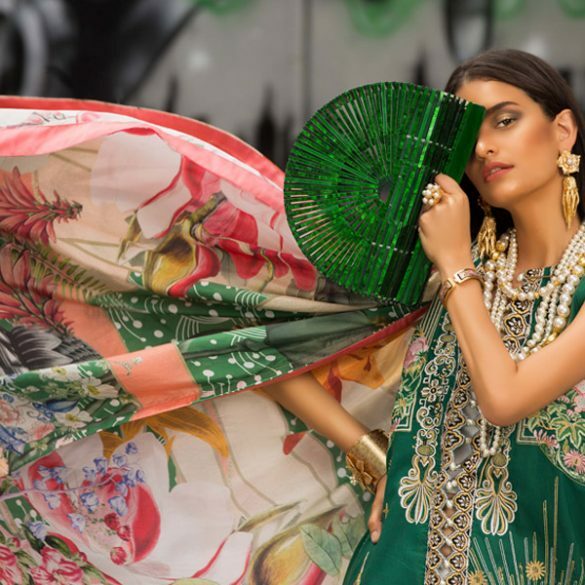 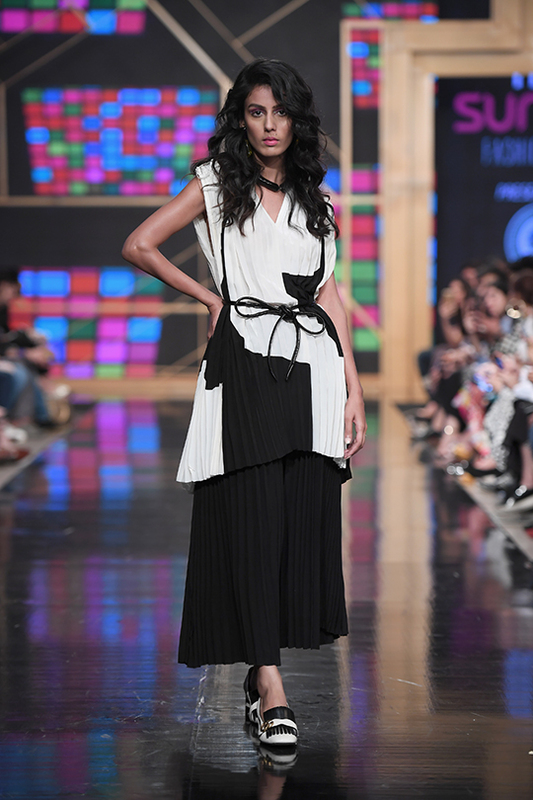 So Kamal presented yet another collection full of effortlessly chic outfits. 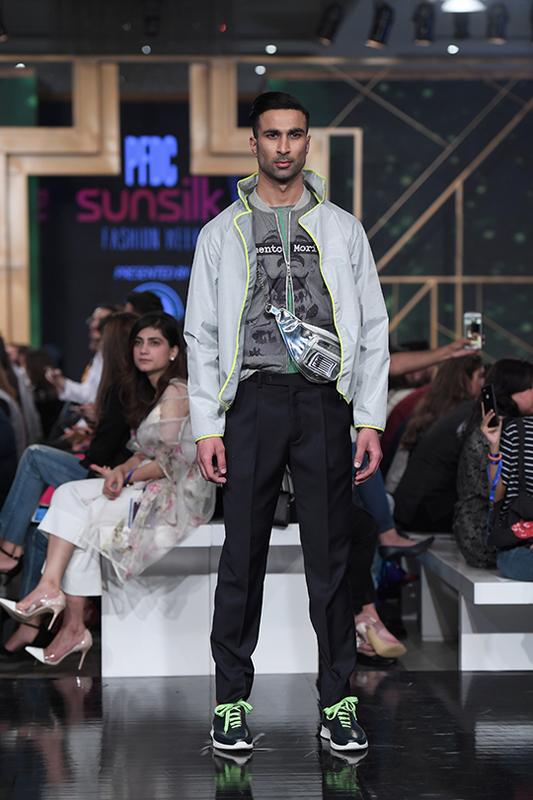 After the break, Zaha by Khadijah Shah graced the runway for the first time, marking a milestone in the young brand’s trajectory. 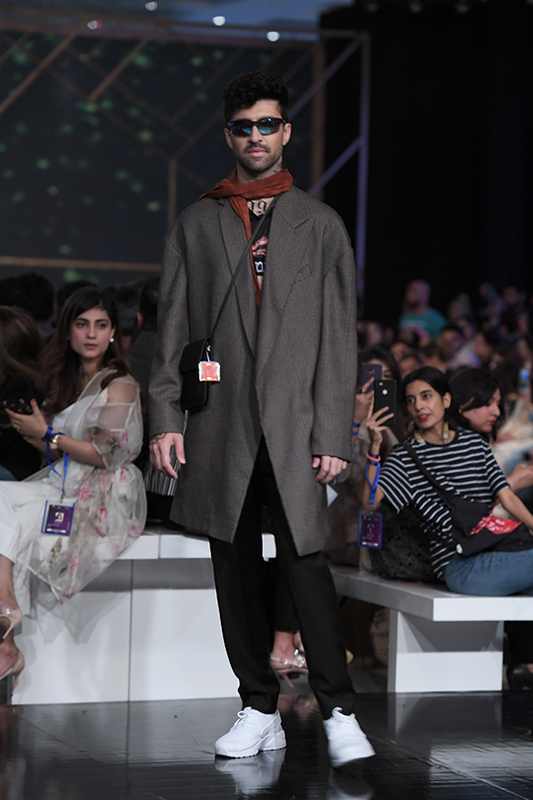 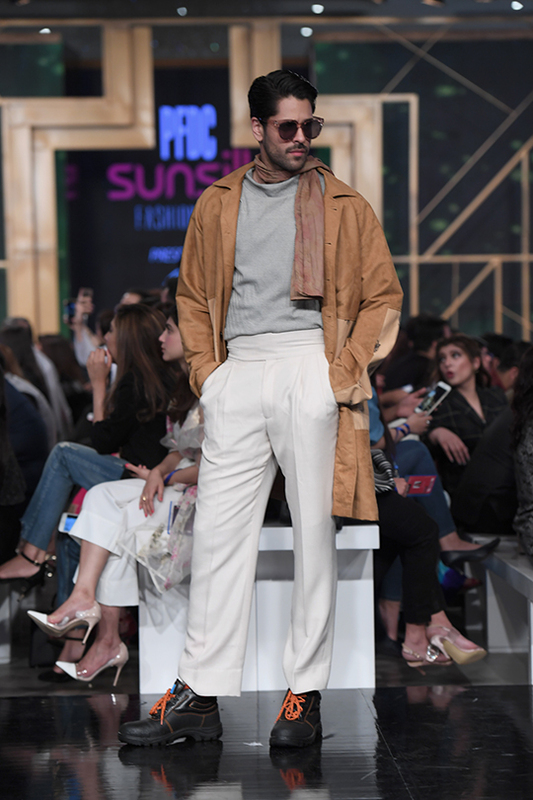 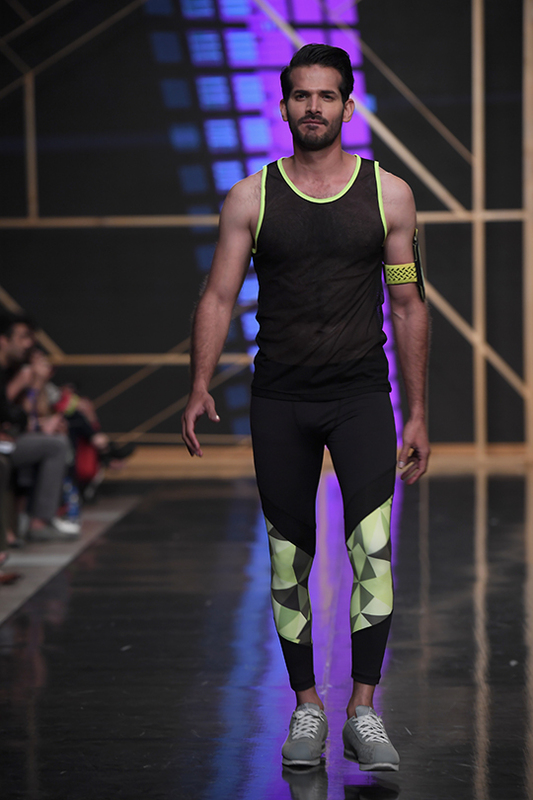 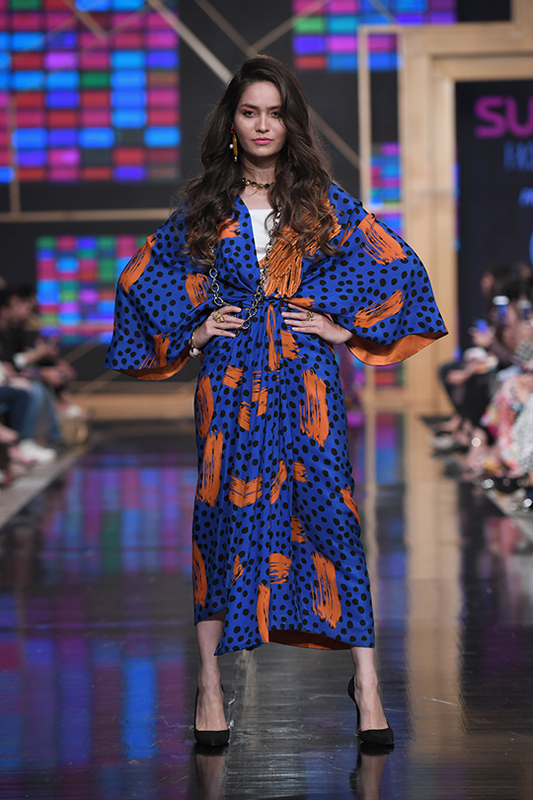 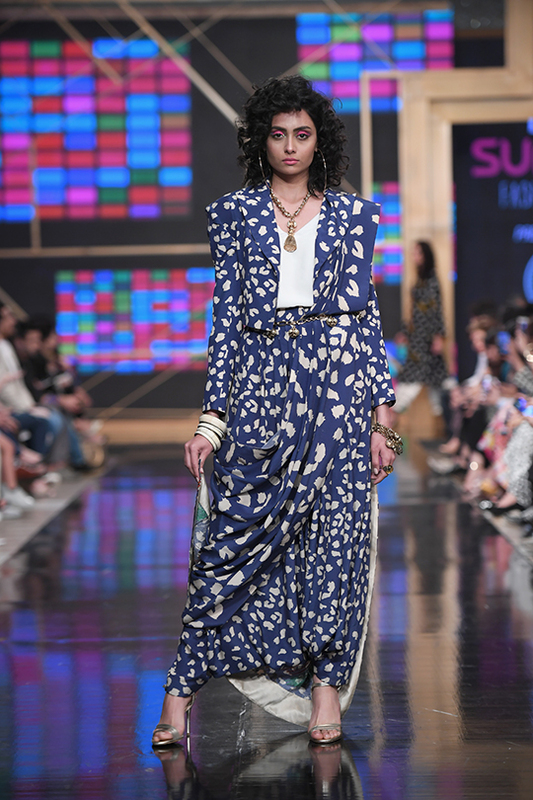 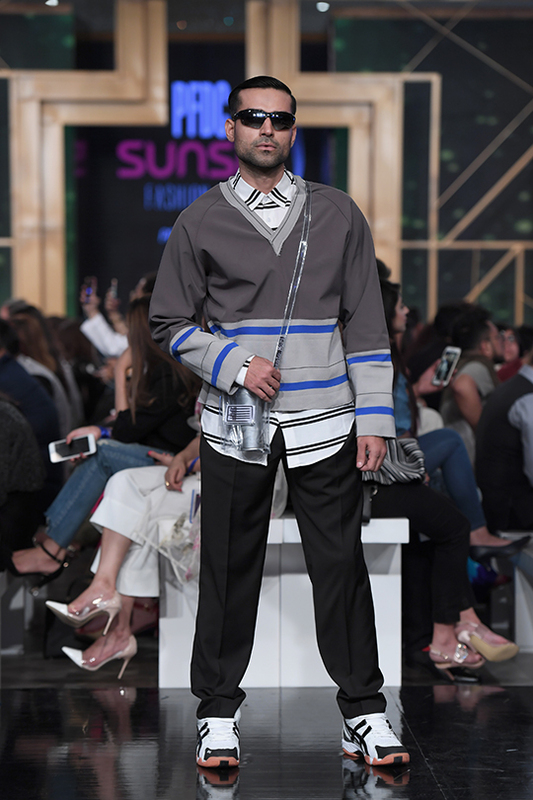 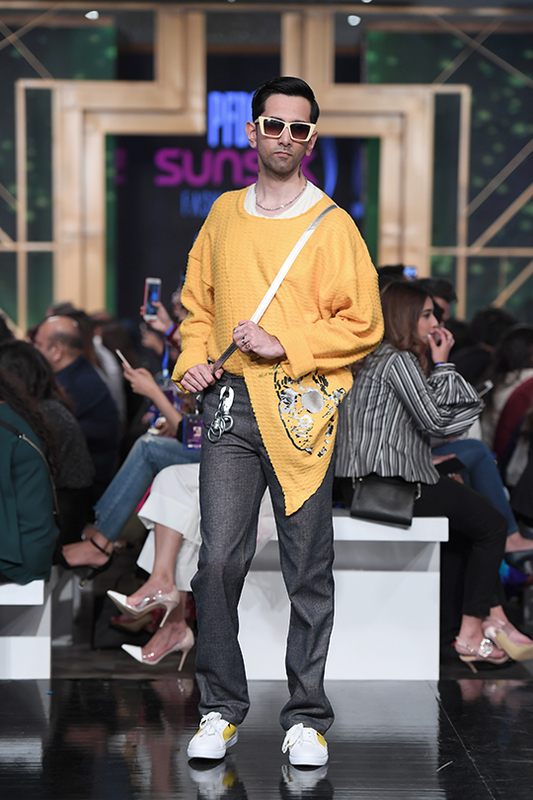 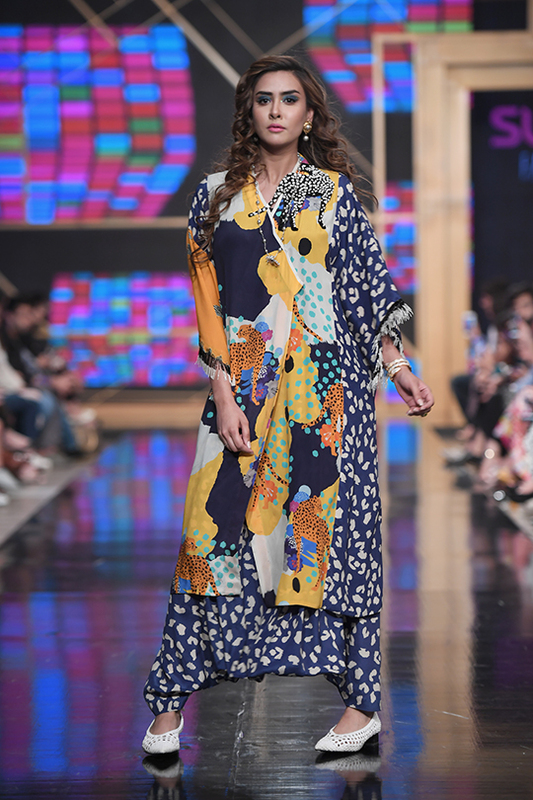 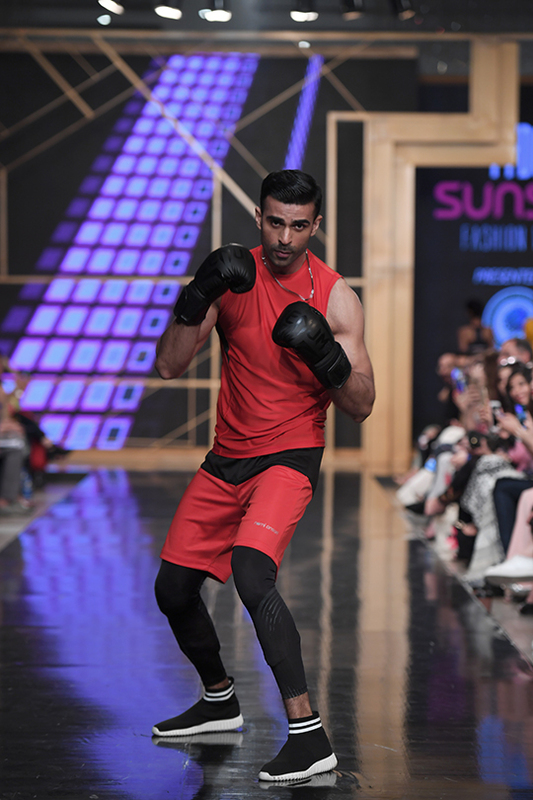 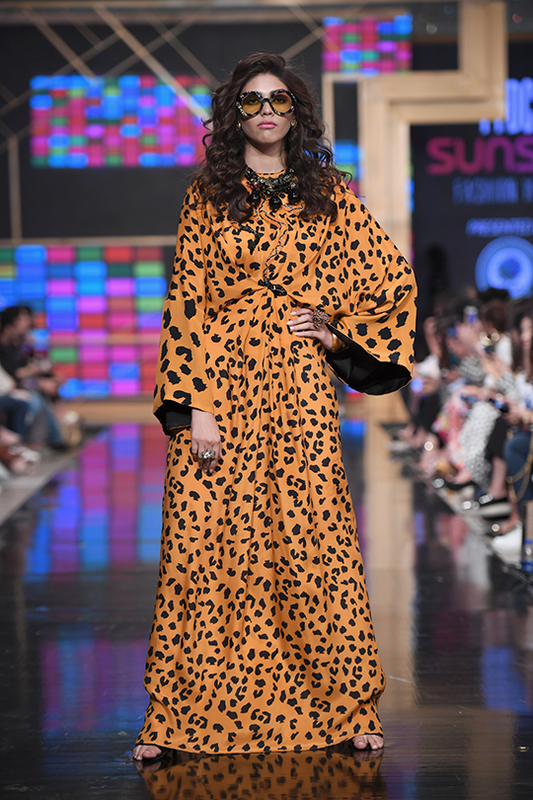 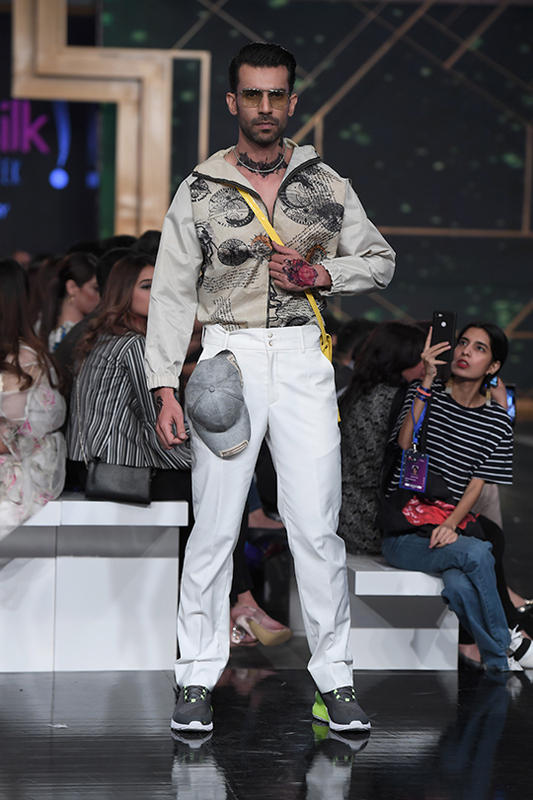 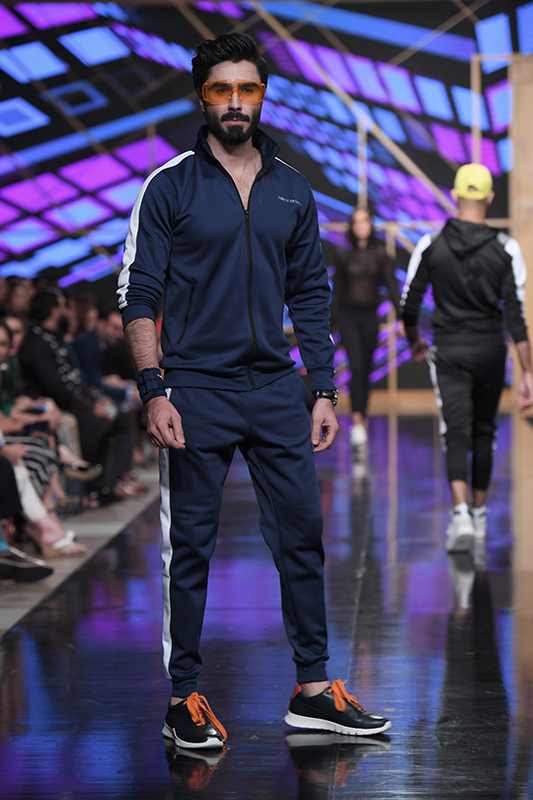 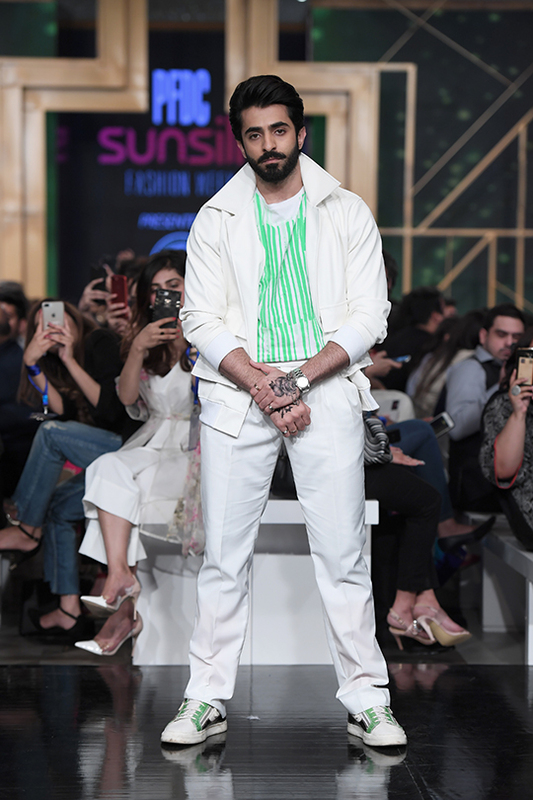 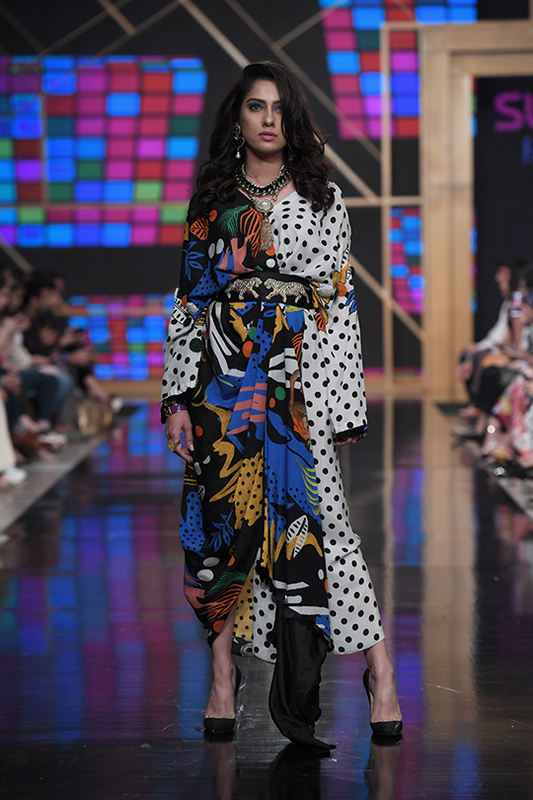 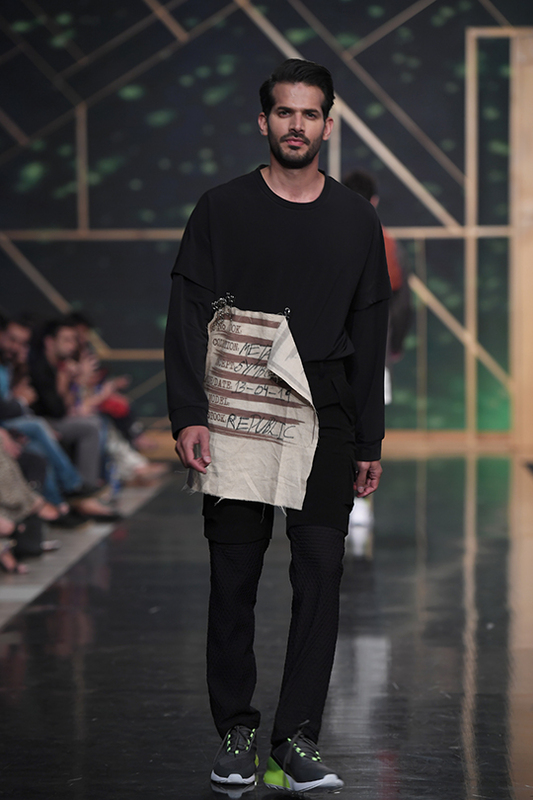 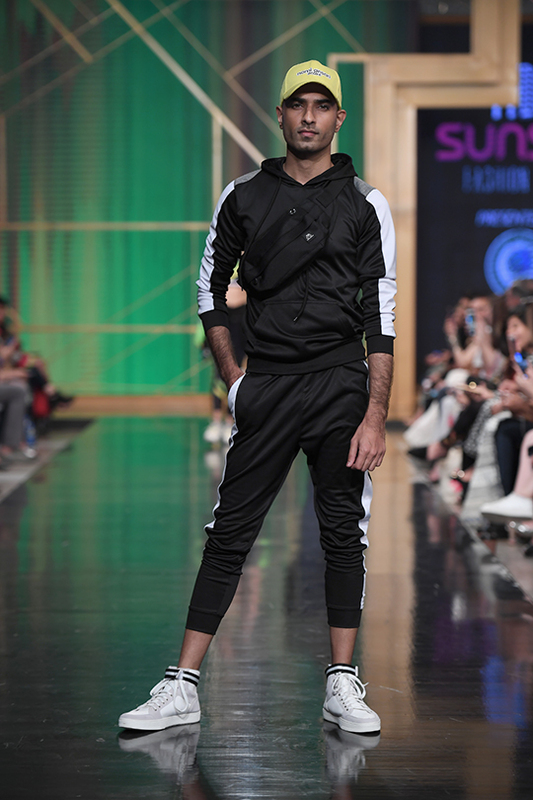 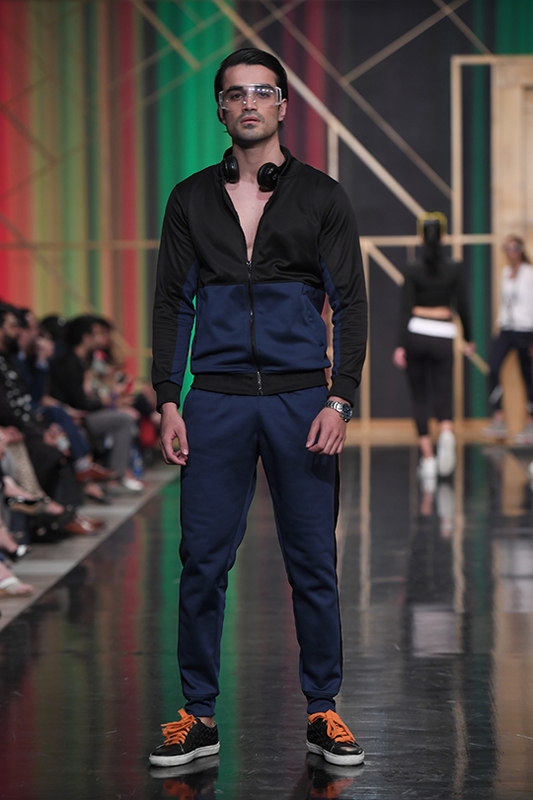 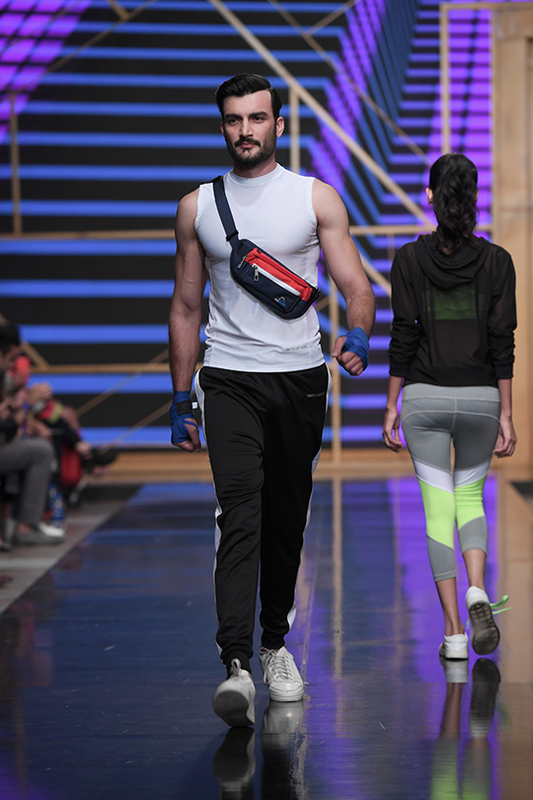 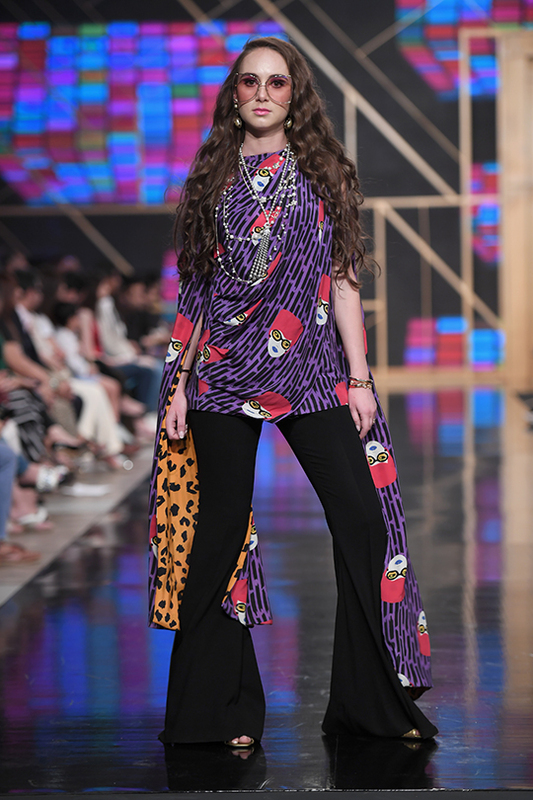 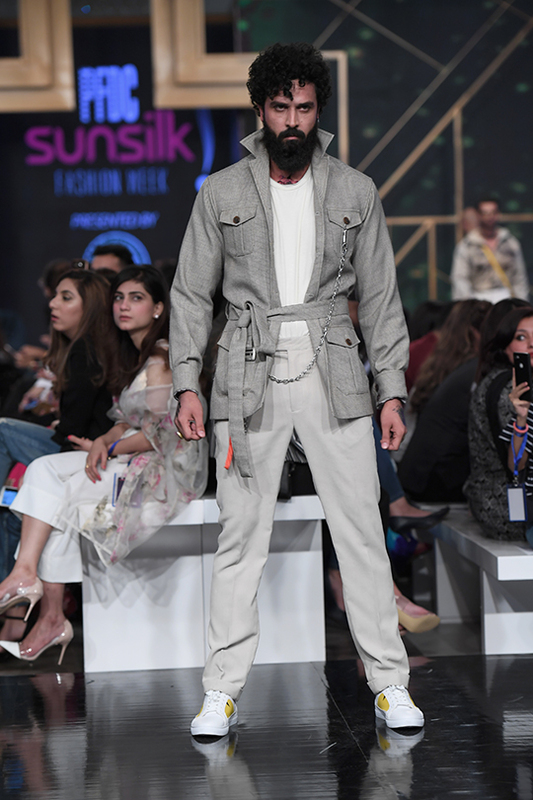 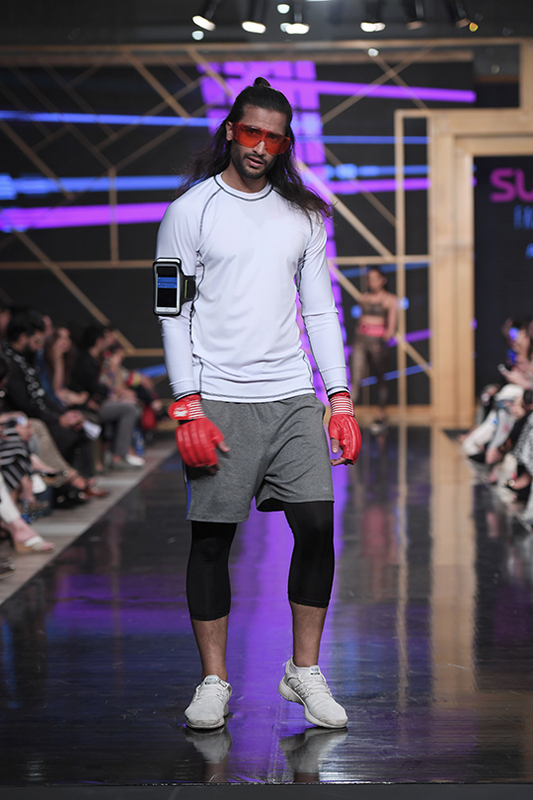 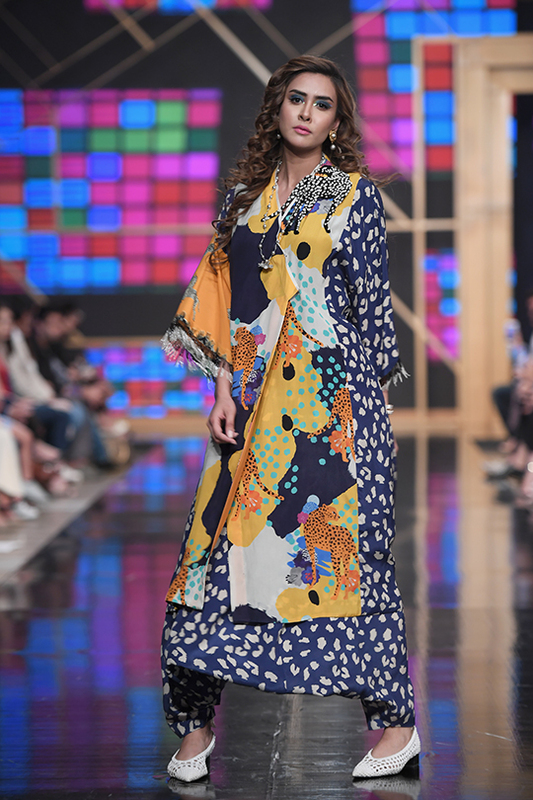 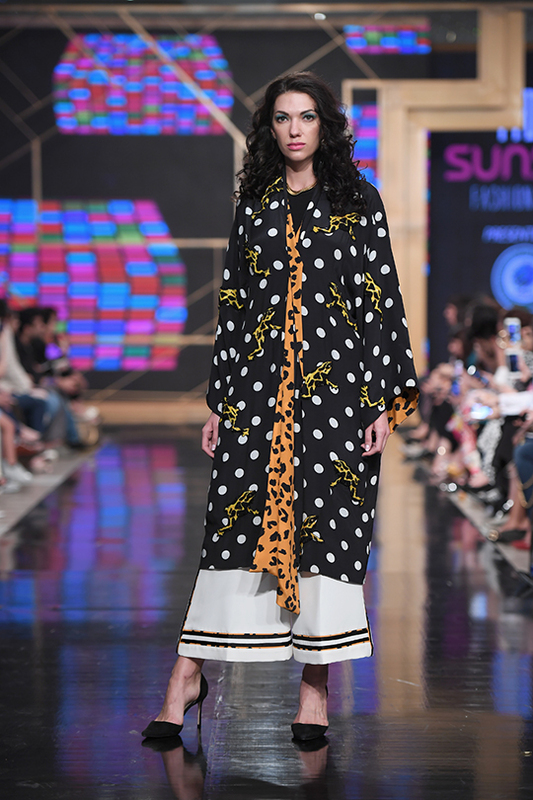 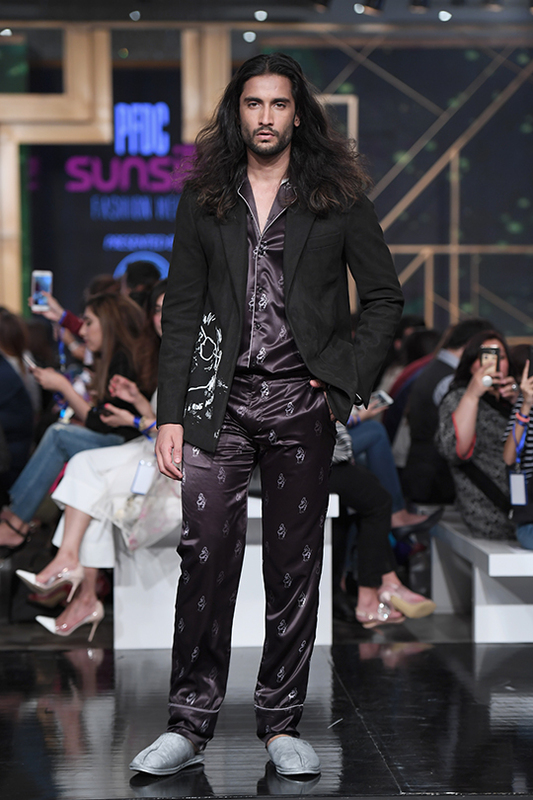 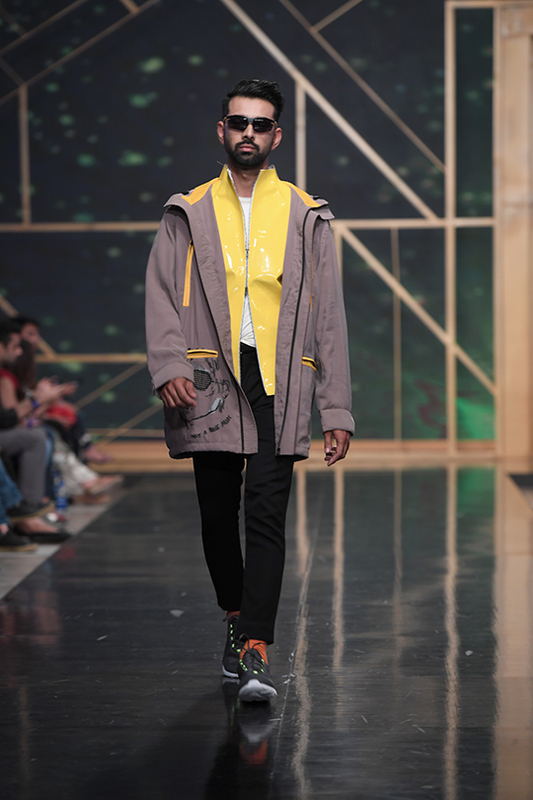 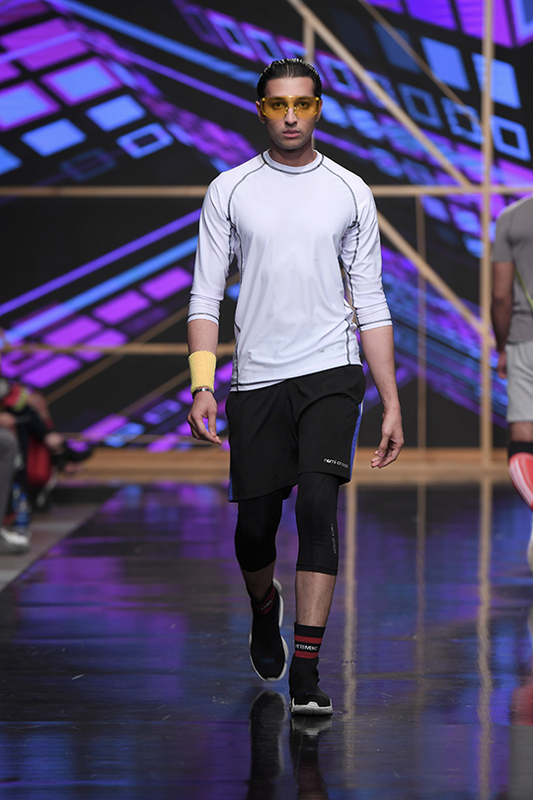 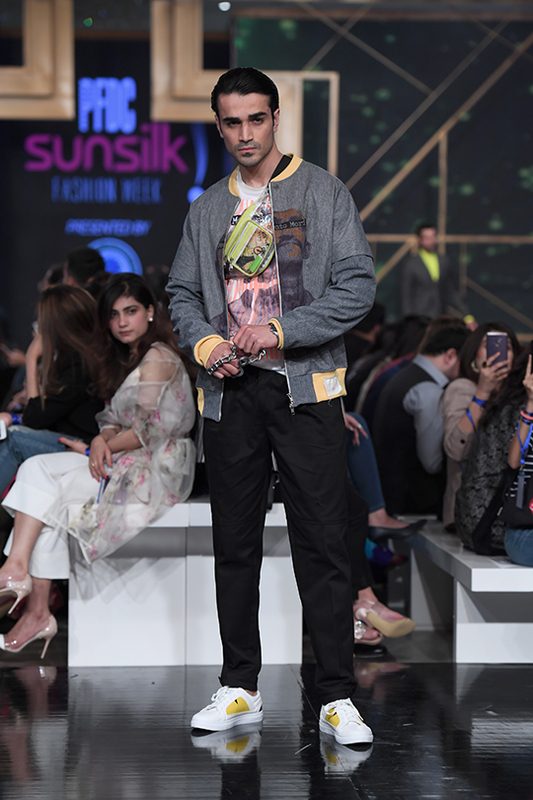 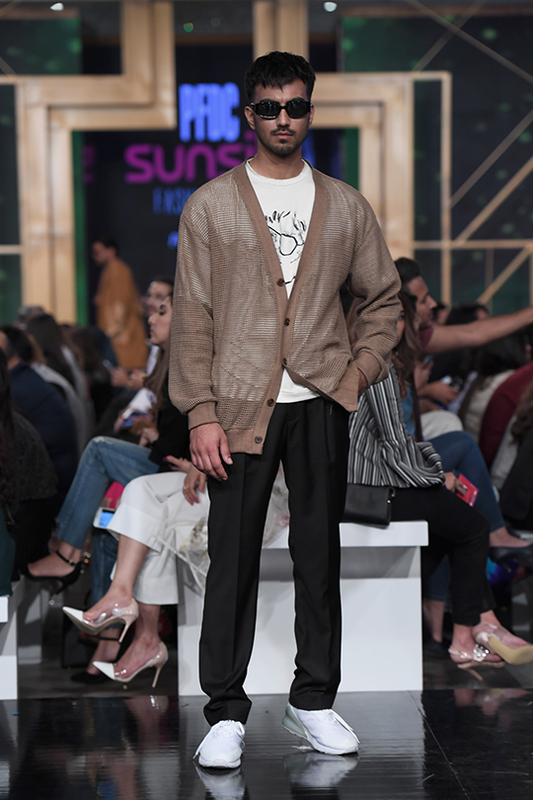 Nomi Ansari upped the energy with his vibrant athleisure collection, accompanied by Republic by Omar Farooq who exhibited sophisticated and clean cut shalwaar kameez’s for men with statement motifs. 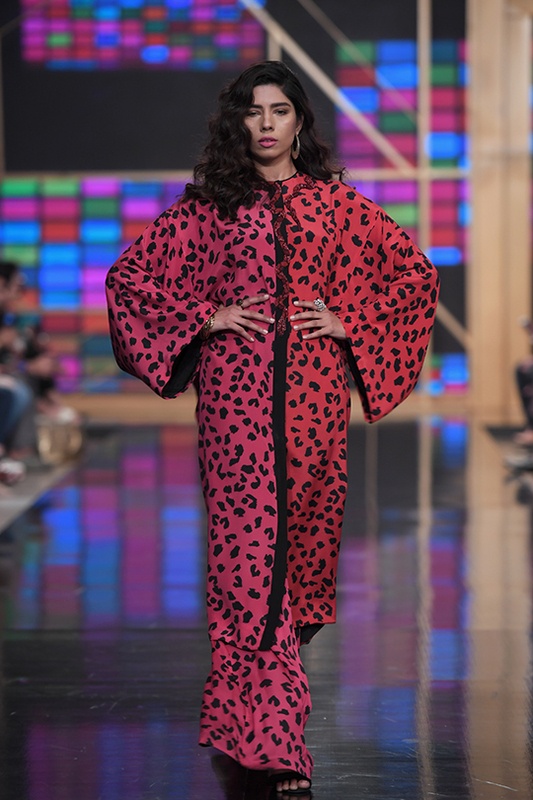 HSY closed the show with a gorgeous collection of red and black, dedicated to his mother. 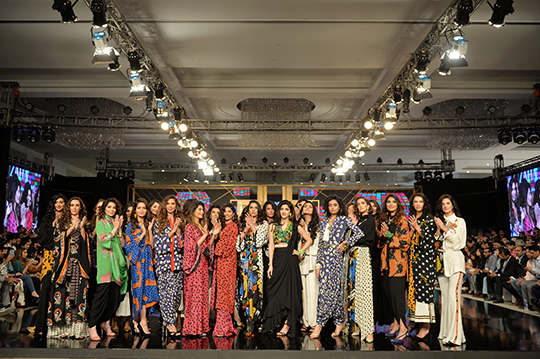 All in all, a stunning finish to the 20th commencement of PFDC. 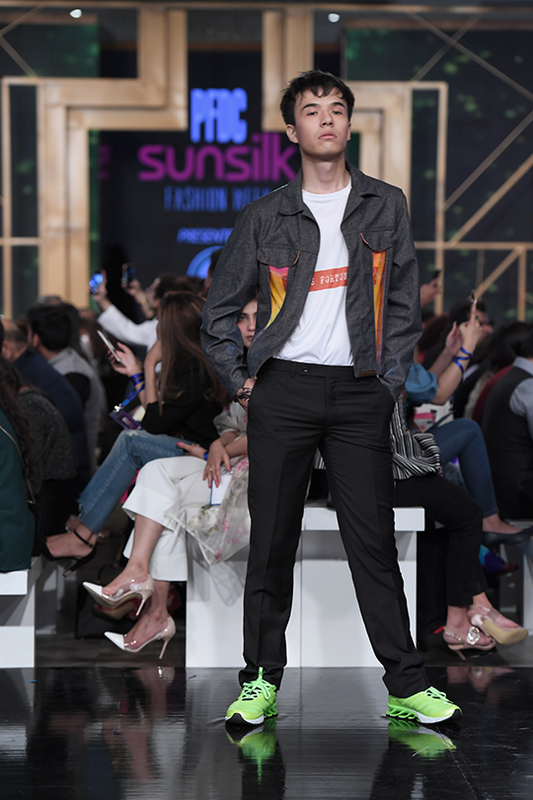 Scroll down to check out our breakthrough! 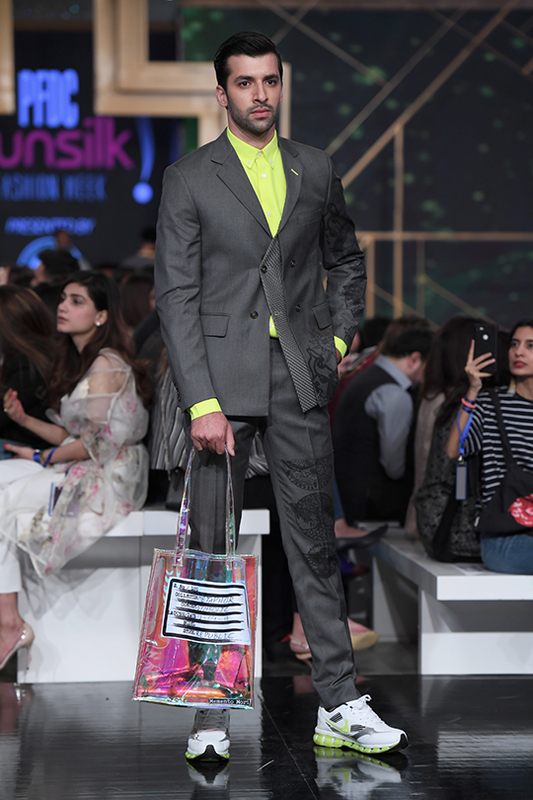 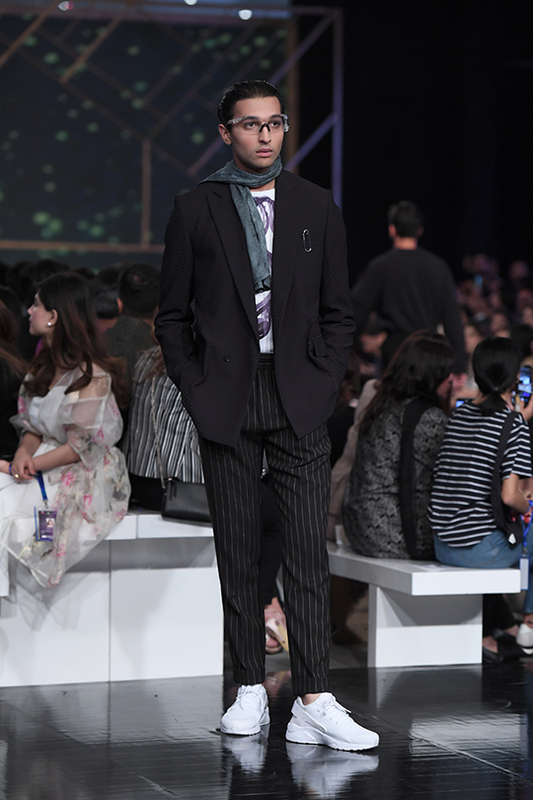 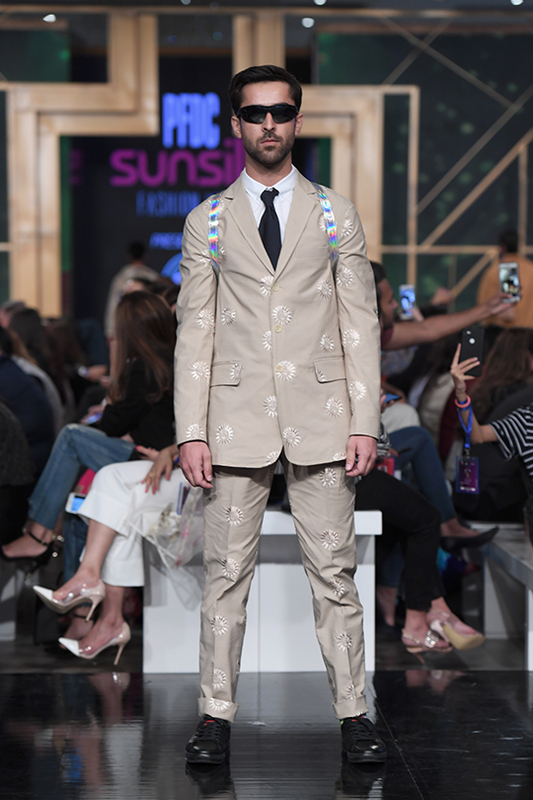 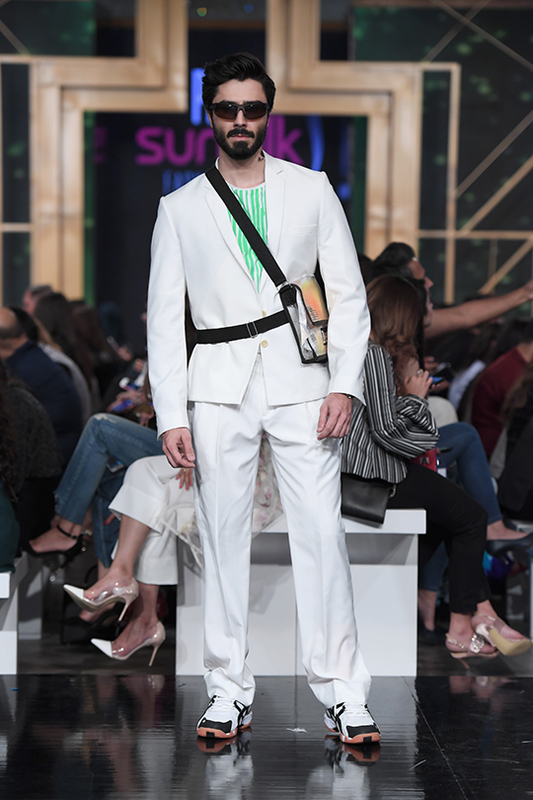 Republic by Omar Farooq brought on all the neon shirts, vests and stripes on top of toned suits, adding a sophisticated yet quirky look to menswear. 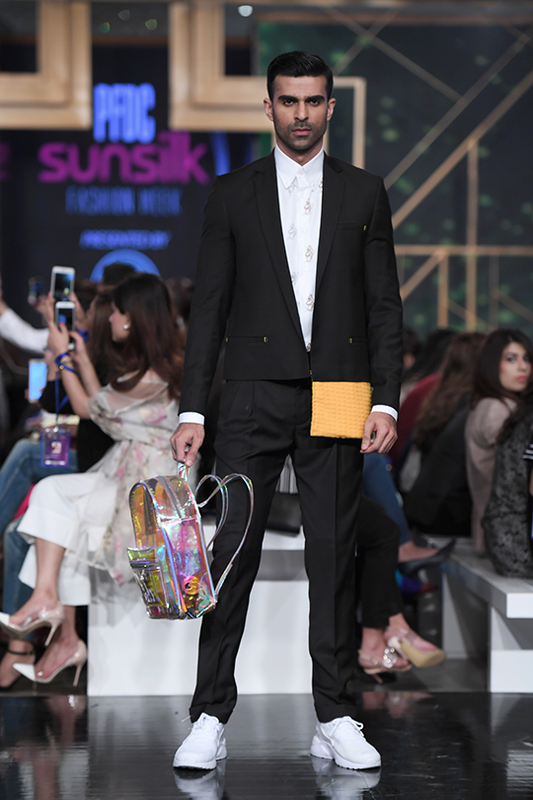 The collection was both interesting and an amazing ode to self representation. 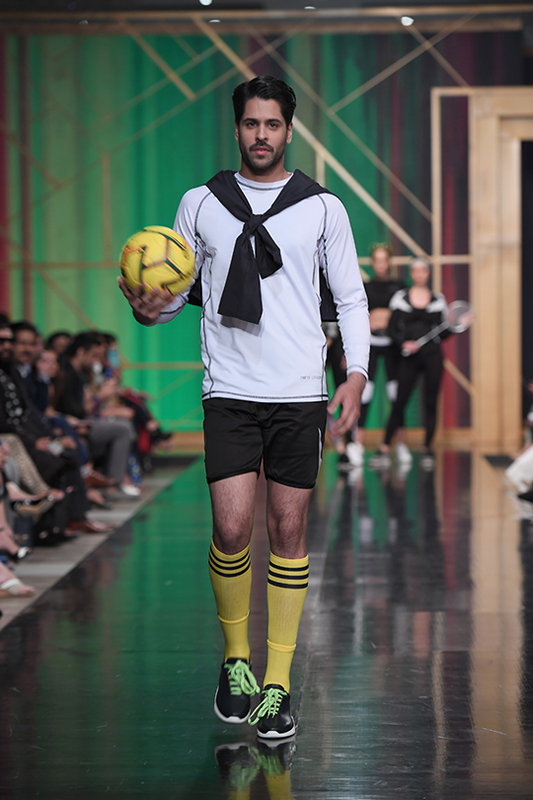 A juxtaposition of both classic and contemporary! 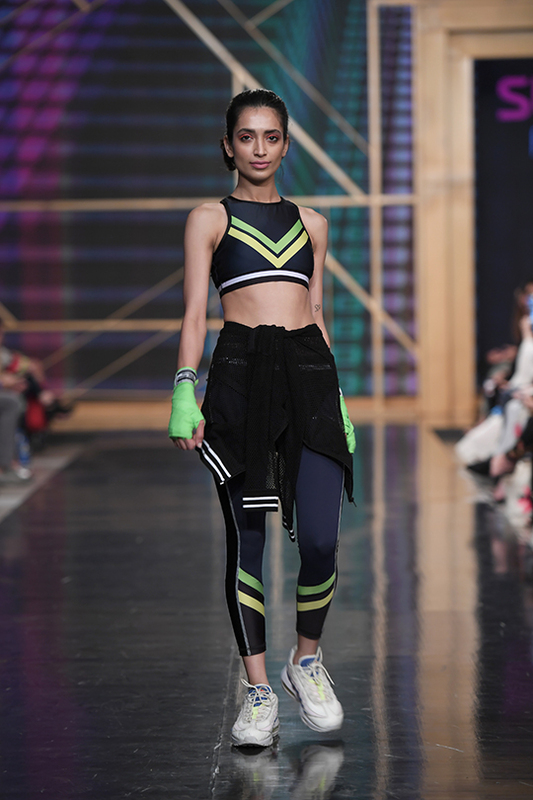 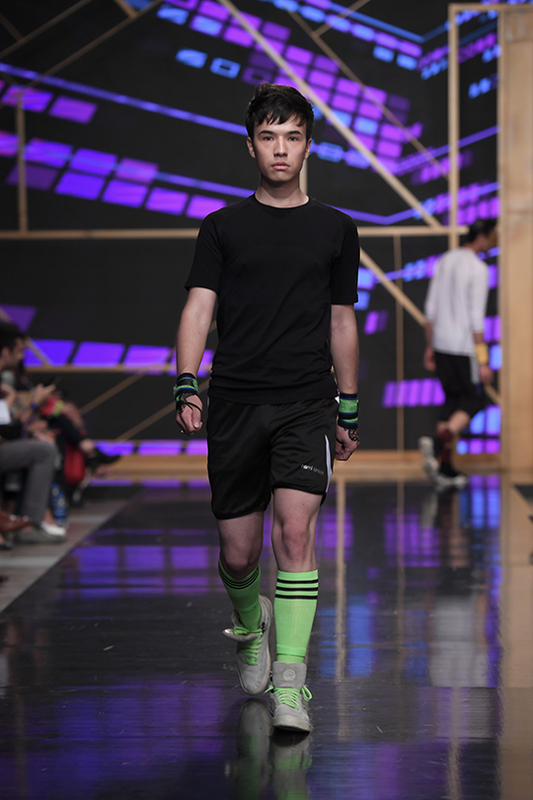 In collaboration with Tuhara Athletics, Nomi’s upbeat collection was a huge hit! 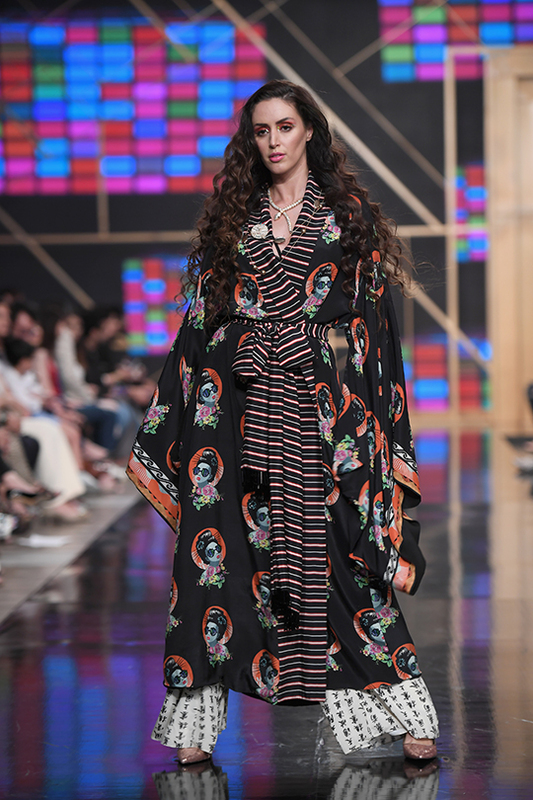 The limited edition capsule featured retro style and a wide tangent of silhouettes and colors. 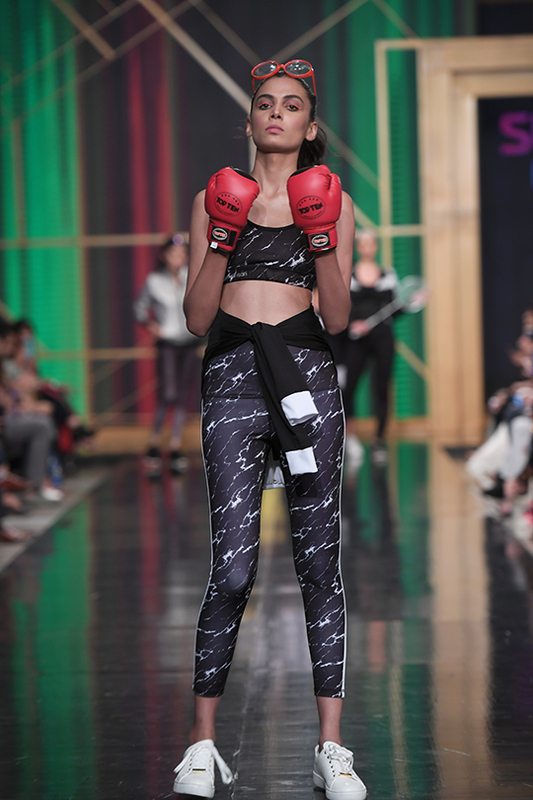 Giving off a street style vibe mixed together with fitness style, this collection had us feeling all kinds of ways! 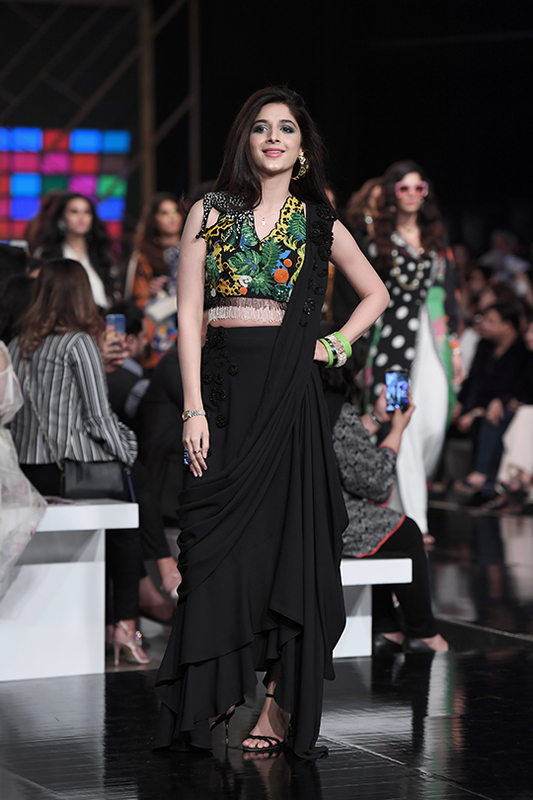 Hania Amir was the show stopper. 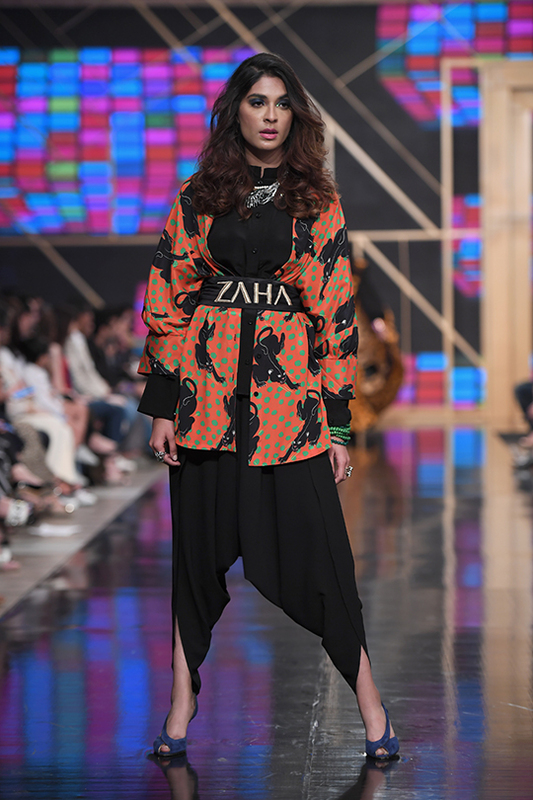 Since the start, Zaha has been focused on presenting the sophisticated and powerful side of the female of today. 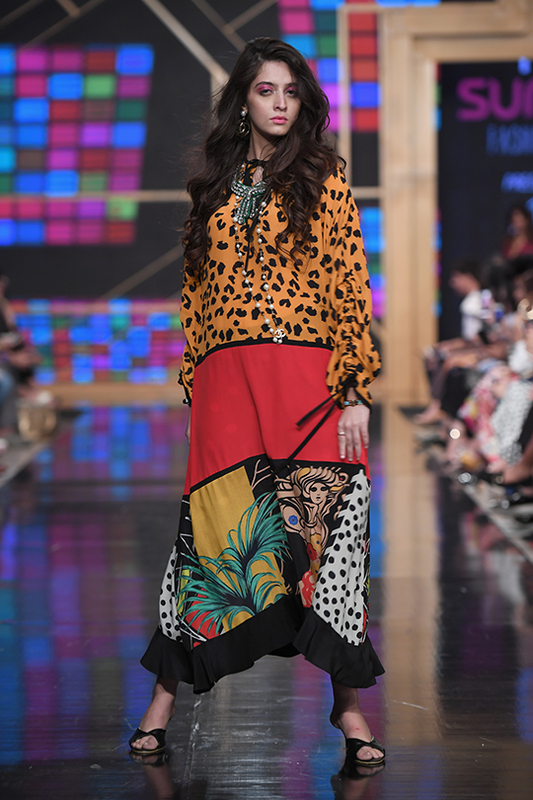 This time, they decided to unleash the never ending fun side that every girl possesses with their collection, Wild Things. 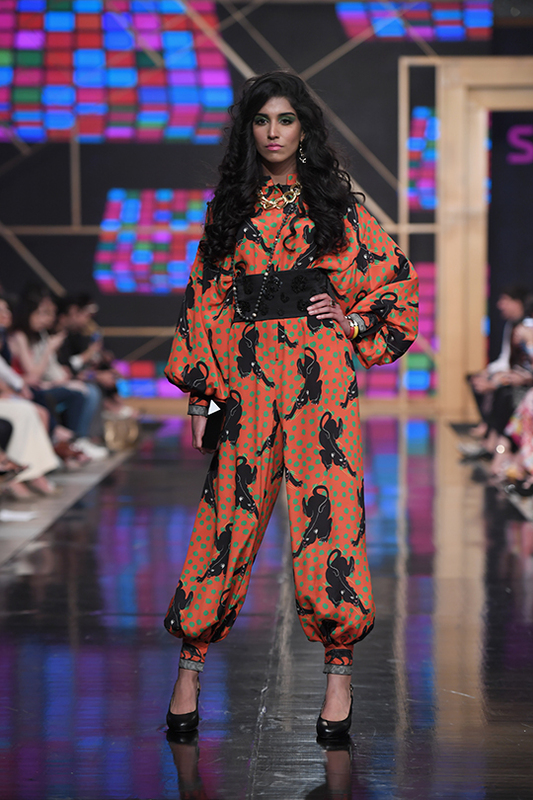 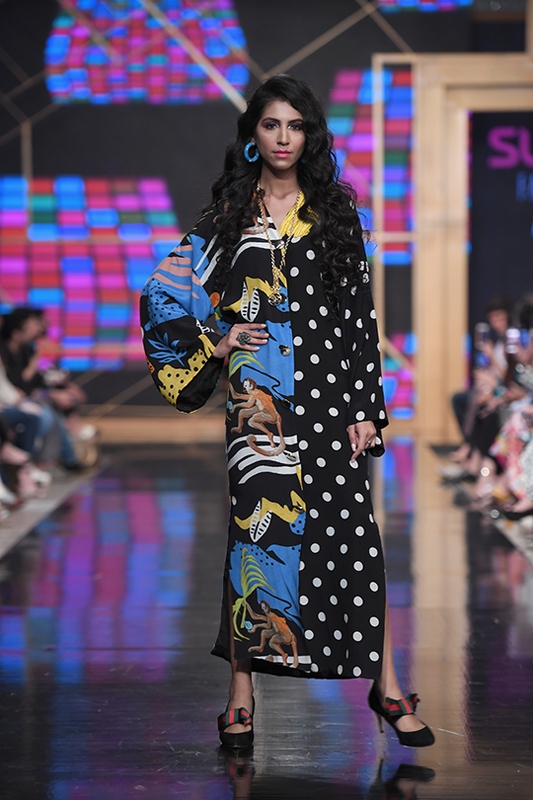 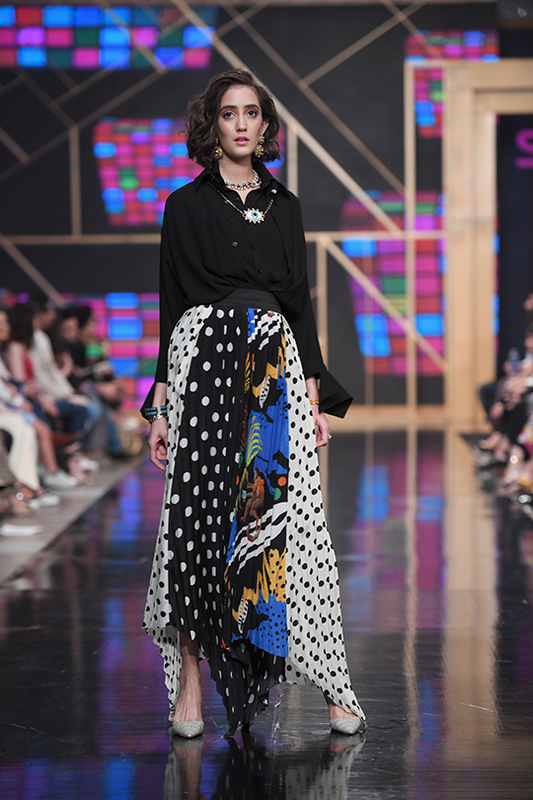 This collection was eclectic and gave off an 80’s vibe with its bold and flamboyant style. 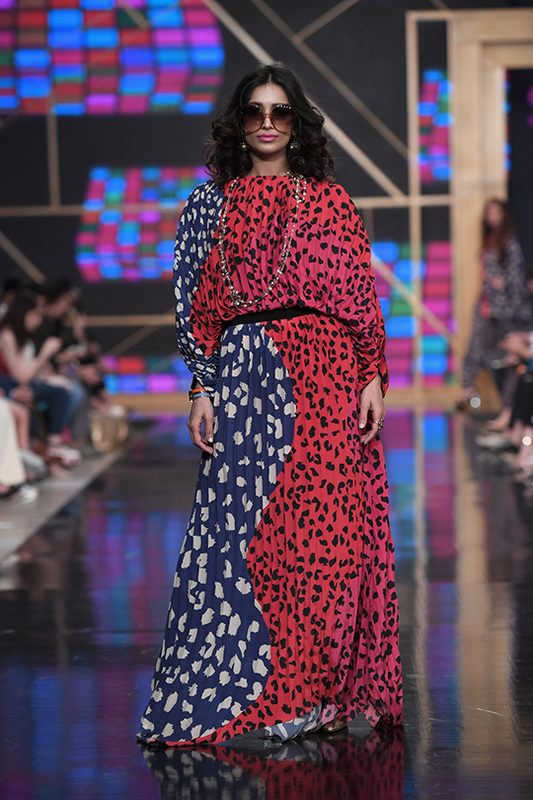 The animal prints punched in with primary colors is what got us! 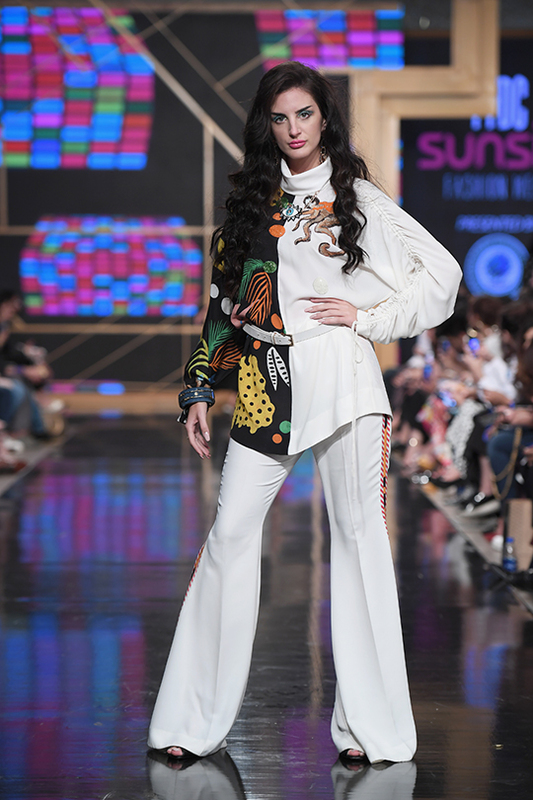 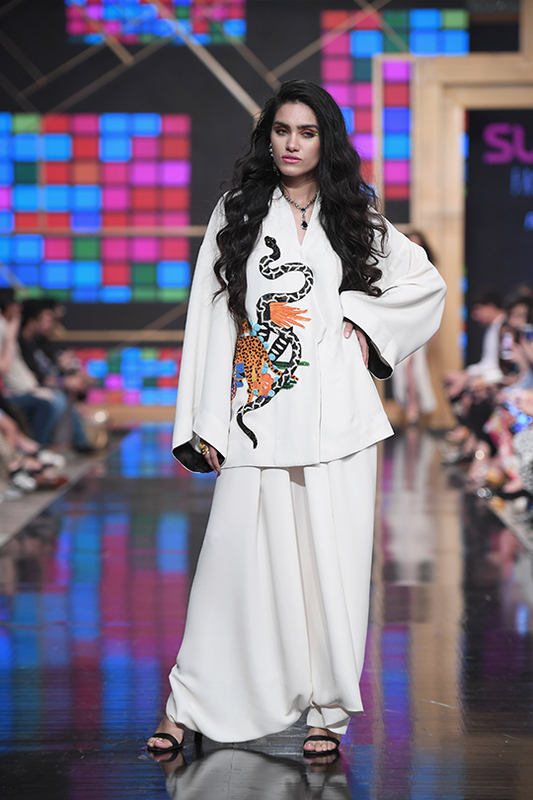 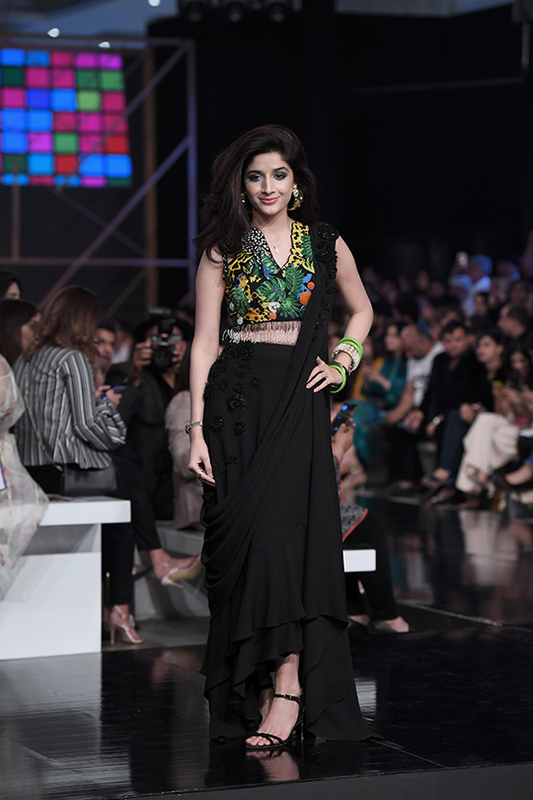 Mawra Hocane was the showstopper.